So Sunday while I was using Xbox Fitness, the Xbox One Kinect died. I went through all of the steps to reset the device and what not and no luck. The Kinect had gone out once before, and a simple hard reboot of the Xbox One fixed it. Not this time though. Without the Kinect, Xbox Fitness won't work. On the one hand, I get that the whole point is that the program tells you if you're doing the moves right. But truly, Xbox Fitness is just existing fitness routines (like P90X, Insanity, Jillian Michaels, etc) with a Kinect overlay. I think the option to watch the videos without the Kinect features should be available, especially since people can pay to unlock more workout videos if they so desire through the Microsoft store. But alas, it does not. I suppose I should count myself lucky that the Xbox One doesn't require the Kinect to be plugged in at all times (like they'd originally planned), otherwise the console would be a brick. Anyway, they're supposed to ship out a replacement soon. Our Xbox One is just over 2 months old so it's a little disappointing that it's died so early on. 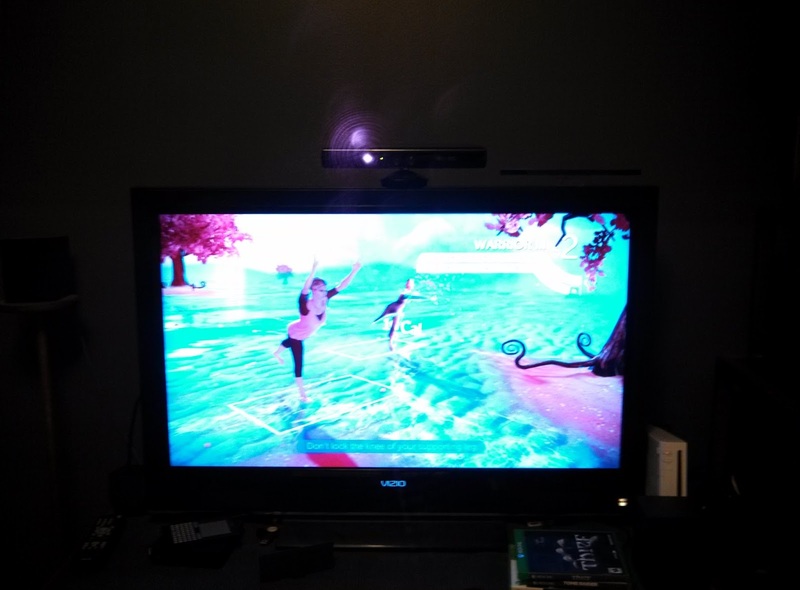 But, while I wait I'm playing around with the Xbox 360 Kinect exercise game - Your Shape: Fitness Evolved. After having gone through the workouts in Xbox Fitness, this game really isn't as robust as fun. It's more like an a la cart of fitness options instead of a rounded out 10, 20, 30, or 40 minute workout like Xbox Fitness has. There are a few things I enjoy doing that it has that Xbox Fitness doesn't have (yoga, for example). But honestly I might just load up YouTube and do some of the workout videos on there. We'll see.